Posted on February 13, 2019 by Karin Shibata Posted in Burger	. King Marcel, une délicieuse success-story Made in France. My Burger is French ! 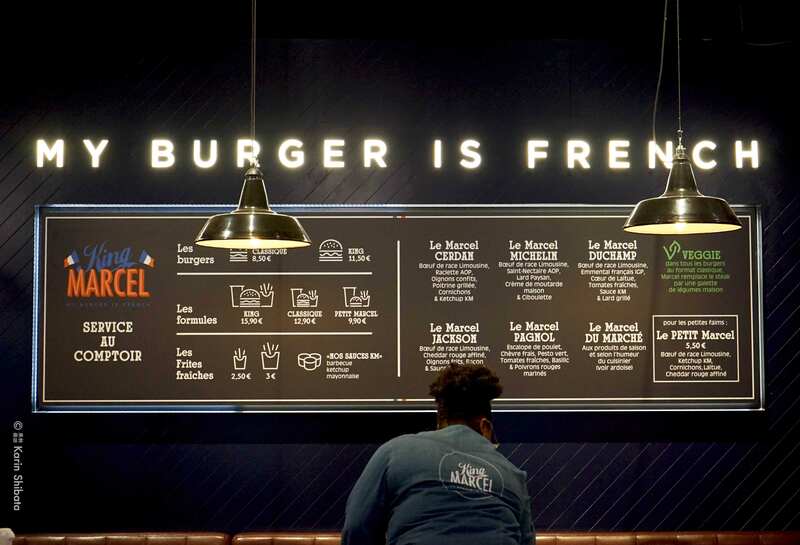 Tags: ♥♥♥♥♥, burger, English Menu, For private events | Privatisation pour évènements, Japanese Menu, Livraison | Delivery, non-stop, open monday | ouvert lundi, open saturday | ouvert samedi, open sunday | ouvert dimanche, Paris 9, Takeaway | A emporter, terasse, vegetarian friendly	. Au Coup de Torchon, Frédérique Noiret’s joyful bistro for cinema lovers. Posted on January 18, 2018 by Karin Shibata Posted in Bistrot, Wine Bar	. Au Coup de Torchon, Frédérique Noiret’s delicious bistrot. A hymn to the joy of quality French cuisine, good products and cinema ! Tags: ♥♥♥♥♥, bistrot, closed sunday | fermé dimanche, For private events | Privatisation pour évènements, open monday | ouvert lundi, open saturday | ouvert samedi, Paris 6, Saint-Germain, vege, vegetarian friendly, wifi, wine bar	. Posted on January 14, 2018 by Karin Shibata Posted in Bistronomy, Bistrot	. Métropolitain, Paul-Arthur Berlan’s tasty French cuisine in a lovely bistrot in the heart of Paris (Marais). Tags: ♥♥♥♥, bistronomy, bistrot, closed sunday | fermé dimanche, For private events | Privatisation pour évènements, Marais, open monday | ouvert lundi, open saturday | ouvert samedi, Paris 3	. Posted on October 26, 2017 by Karin Shibata Posted in Italian	. Epoca, the new chic bistro by Denny Imbroisi. A culinary journey in the Italian boot. Tags: ♥♥♥♥, bistronomie, closed sunday | fermé dimanche, For private events | Privatisation pour évènements, Italian, Italian chef, open monday | ouvert lundi, open saturday | ouvert samedi, Paris 7	. Posted on October 15, 2017 by Karin Shibata Posted in Hotel, Italian	. In the heart of Paris, nestled within the Hotel Castille (five stars), a restaurant, tea room and bar. Tags: breakfast | petit déjeuner, closed sunday | fermé dimanche, fine dining, For private events | Privatisation pour évènements, gastronomy, hotel, hotel bar, hotel restaurant, hotel tea time, Italian, Italian chef, Michelin, open monday | ouvert lundi, open saturday | ouvert samedi	.